These past six months as President of the Steeplechasers, I have come to appreciate the time and effort volunteers commit to make this one of the best running clubs around. From our training programs to our social events along with the hours that are spent behind the scenes, I continue to be amazed with the time and effort put into our “little” club! We have completed six grand prix races. Participation for these races has been high. Please continue to sign up for these races and check the leaderboard for your status. Thanks to the competition committee, led by Shannon Matthews, for announcing the grand prix races. These are a fun way to see our members and have a little competition too. If you not had a chance to view the 2016 Annual Report, please take some time to do so. The information found here can be helpful in understanding where club money is spent. http://steeplechasers.org/wp-content/uploads/2015/05/FSRC-Annual-Report-2016-Final.pdf Thanks to Harriet Langlois for her commitment to the club. We are lucky to have her as our treasurer. The Decathlon Series is up and running. Remember, Frederick High’s track is under construction, so the decathlon will be moving around this summer. Please check the website and Facebook page for the latest location and come out and join the fun! Thanks to Tim O’Keefe for securing the track and leading these summer events! 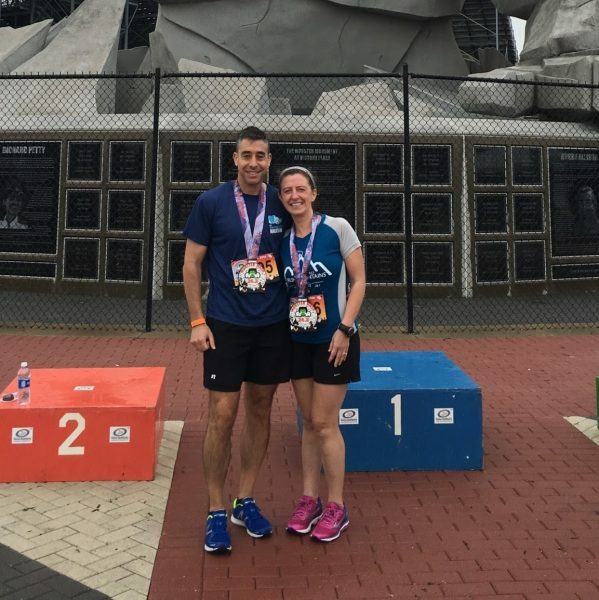 Our marathon and half marathon training programs were a great success thanks to our marathon coach, Ruth Taylor, and our half marathon coaches, Billy Clem and Heidi Novak. I would also like to recognize Jenny Hallberg for stepping in to help out! The participants were well prepared for the marathon distance and the Frederick Half Marathon. Thanks also to Josh Roane who has agreed to join the coaching team. He will be taking on the fall half marathon training. If anyone else is interested in being a coach, please let me know. Heidi Novak and Nikki Martin, with assistance from Syble Roane, are teaming to kick off this year’s Women’s Distance Festival 5k Training. 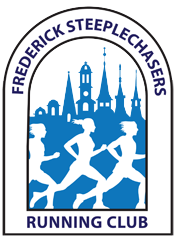 This program helps runners prepare for the Frederick Women’s Distance Festival in August. Nicole Davis continues to offer advice to our runners. She is stepping in to help with the WDF training. She also leads our trail runners on some crazy adventures. Twenty members participated in the North Face Endurance Challenge in some capacity! If you haven’t had a chance to get out and check out the trails, you should. They are beautiful! Although we love to run, our social time is just as important. Thanks to Heidi Novak and Syble Roane for hosting some creative social hours. Also, thanks to Ruth Taylor and Art Gregory for heading up the social committee. Make sure you mark your calendars for our annual picnic, August 26th, 12:00 pm at Utica Park. I wish you all a summer of great running. I will see you out there on the road and the trails!